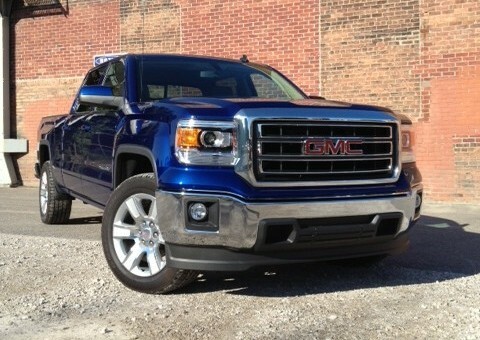 The 2014 Chevy Silverado and GMC Sierra offer a lot of truck for the money. On the downside, buyers will have to hand over a bit more money, as GM has raised the price on all of the models under either name. $1,500 might seem like a lot (or a little bit) of money depending on how you look at it, especially considering that GM already makes a small fortunate per truck in net profits. It’s been estimated that about $12,000 goes right into the general’s pockets per vehicle, making over 60% of global profit for the company. So how will GM keep customers happy? GM spokesman Jim Cain says that there will be a $1,500 cash back offer through the end of October, helping to offset disappointment and costs. I had bunch of people complain that they get more bang for the buck at Ram and Ford and now GM is raising prices?? I thought that these trucks had better building technology that lowers production cost and would pass savings to its customers! Bad move GM! This is very perplexing. You’ve had a ton of people put the outgoing model in their garages at huge discounts, so to attract new buyers you…raise the price on the just rolled out model? This is very bad timing given they just had an 11% downturn in sales. Regardless of a potential $1500 rebate of offset, which makes no sense at all, somebody has their head in the wrong place. These trucks are too expensive for a normal consumer now as it is. GM raises the prices and they will still sell like hot cakes! Is this on just new built trucks or existing window stickers on lots today? Could be just a ploy to move trucks in October? As long as people are willing to pay the price they will continue to keep the prices up. But I would expect to see increases on most new model vehicles in the future. The cost of living and the economy is not stable so inflation will be an issue for all automakers. Also when you increase the quality on things it also adds the price to for them to keep the similar profit margin they needed to increase the price. I saw a bunch of GMC’s not long ago and most were average trucks at $44K, Not good to see. Not a smart move when the “new” style was well over 2000 more than 2012. I can see why Ford sells more. Just as good a truck for less money. Having sold GM trucks for a long time, I could not understand why GM didn’t try to be competitive in price. It is going to cost them down the road.